How to start investing? Its a question I'm asked all the time. Told you so...by the way, your webcam is on! Seriously though, I could tell you to buy a low-cost index fund from Vanguard. I could tell you to read a few investing books, copy an "expert", hire an advisor, or "just get started" and open a brokerage account. I could even recommend a company or two and give you a ticker symbol to look up. All of the those suggestions ARE ways to get started investing...so why the eye roll? Here's the problem: You asked the wrong question, and it went downhill from there. I know what you really want, and investing is just the way you want to get it. I know because it was the same thing I wanted when I first asked how to start investing. "How can I start making money by investing?" Are any of those earlier suggestions specific to you? After all, you're the one that wants to make money, right? If the advice isn't specific to YOU, it isn't specific where it counts, and will leave you feeling shortchanged and frustrated. To learn how to start investing, you first need to know what the word "investing" actually means, and then how YOU will apply it to your specific situation. Investing is a means to an end; making money is the "end", and investing is the "means". In other words, making money is your goal and investing is the process you will use to achieve that goal. Getting your process set-up is how you start investing. Your process creates your roadmap for making money with the information on this site. Each step helps you make better choices by taking emotions out of the equation. 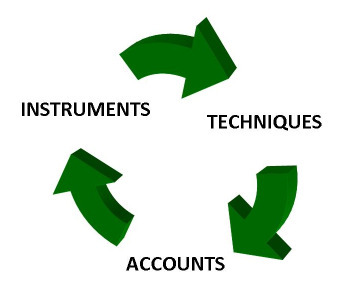 Why use an Investing Process? By following the same steps, over and over and over again, you'll have results (i.e. profit and loss) that can be compared for each trade, each month, of each year. In the end, you're trying make money from your investments, over and over again. So it makes sense to use a series of steps that you can use over and over again. It will take discipline and time, because you won't know which rules will work and which ones won't until you try them...one at a time! If you change too many things at the same time, you won't know which one made an impact. This was a mistake I made when I first learned how to start investing, and one that I hope to help you avoid. If your change brings better performance (saves you time, effort, money, or stress), keep it. If the change doesn't help you achieve your goal, drop it. Go back to the last process that worked for you and try to adjust something else. For example, you may decide to try an deep discount broker in order to lower commissions a fees. Only make that change and make sure that you see the lower commissions actually show up. If they do, you can try a more active investing strategy (more trades) or enjoy the lower costs as more money in your pocket. Consistent returns are the second step to better investing! To help you get started, here is the process I used to start investing safely. Before you dive in, head over to my Safe Investing 101 page and give it a quick scan. You can use this link to open the page in a new tab. That page will give you an overview of the "safe" part of safe investing, and help you figure out what kind of investor you want to be, and want kind you need to be. Stabilizing your finances is the first step in how to start investing, and one you absolutely CANNOT skip! Many people get the itch to invest, open an account with their friend's investment broker, send in a check, and start buying things. That's what I did! And I was building a financial house of cards. The most important part of any building is its foundation. 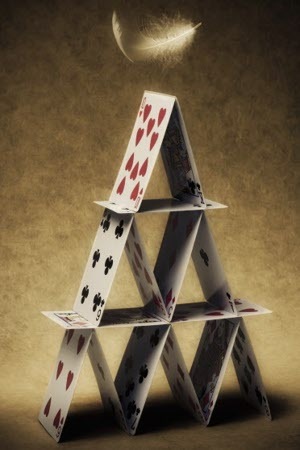 Whether it is a skyscraper or a house of cards, the starting point is the same; a stable base. Your personal finances are exactly the same. You want to weather the strongest storm, and not get demolished by a stiff breeze. The first time things don't go according to plan (and they won't more often than they do), you should be secure in the knowledge that the foundation of your financial success is rock solid. Stabilizing your personal finances will provide you with a solid foundation for the rest of your life, regardless of how you choose to start investing or whether you choose to invest at all! 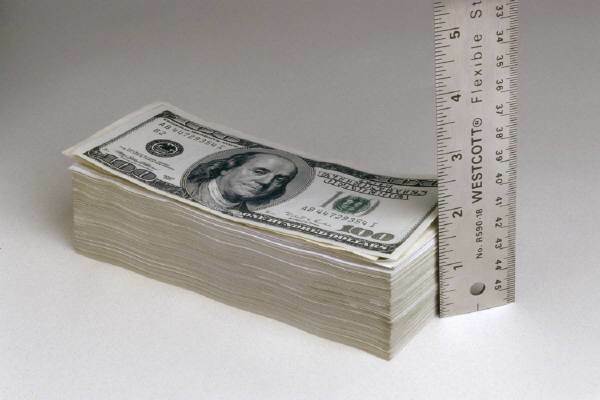 Personal money management is a combination of personal financial management and trading money management. Your first step is to figure out your current financial situation. Personal financial statements (including an income statement, balance sheet, and cashflow statement) give you the overall picture when it comes to where your money comes from and where it goes. After you know where you are, you can figure out where you want to be, in terms of your finances, by setting some goals. Actually, your first personal finance goal could be the act of stabilizing your current financial situation. Now comes the personal budget. This will be your path to achieving the goals you just set. It will also serve as your yard stick, in terms of how much progress you've made. Don't be alarmed if this step takes some time complete. Invest the time now, and you'll be much more comfortable later on in the process. Now that you've organized all your financial data and achieved some stability, it is time to make some plans. An important part of how to start investing is learning the relationship between your investing vehicles, accounts, and techniques. Click on the diagram to learn more. During the planning phase, you'll be figuring out the "what" (as in what you're going to buy and sell), the "how" (how you are going to buy and sell), and the "where" (where you will buy and sell) of your investing process. You're also going to set up your rules in this phase (when to lock in your gains and limit your losses). This step is also a great time to do some research. Remember those books I mentioned at the beginning of the page? NOW you need to go read them. Why now? Because you're in a position to see how you can apply them. You'll be able to tell what will work for you and what won't...before you lose a single dime. Click here for our page of great books on investing to help get you started. Now you're ready to make some decisions. At this point, you may want to seek out some personal financial investment advice. The fact that you have a process will make it that much easier to explain what goals you are trying to achieve. This is where the rubber meets the road. You're going to log into your account(s), get the balance to the right level (using portfolio sizing), and enter a trade (using position sizing). Now comes the hard part; watch and wait. Since you're using rules, you already have an advantage over a majority of individual investors out there. You will stay calm and rationale, only making trades when your rules say so. After you execute 4 round-trip trades (buying shares and selling shares), stop and take a look at your performance. Did you meet your investing goals? If so, GREAT! Keep doing what you're doing. If not, WHY? Before you start investing again, take some time and figure out where you made mistakes. Then change your rules to keep you from making that mistake again.